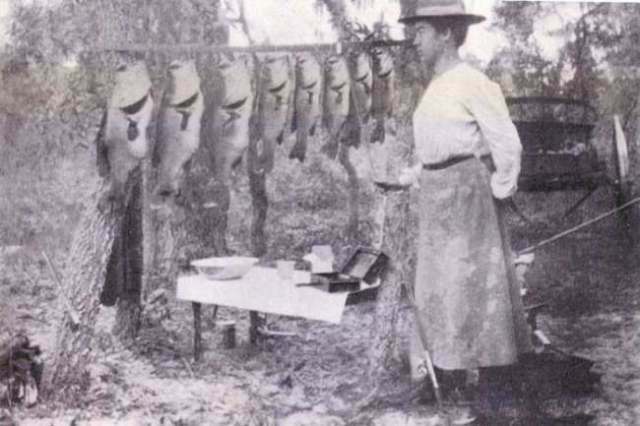 Chetek, Wisconsin - W. T. & Laura Heddon in 1903 stayed at the Jolly Palms Resort in Mohawk, Florida where they developed and field tested their lures. W. T. and Laura Heddon in 1905 also had a home and lived in Chetek, Wisconsin. 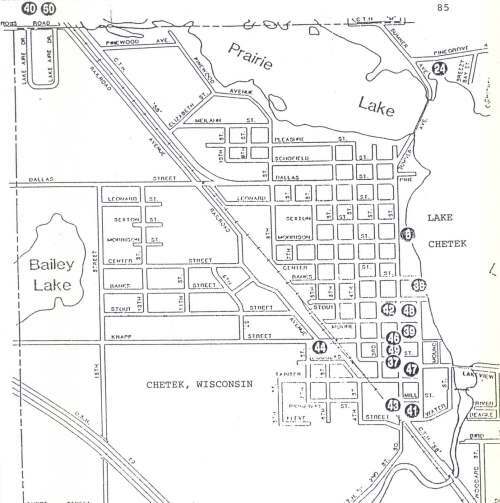 They would travel back and forth from Chetek to Mohawk depending on their hunting or fishing pleasure. 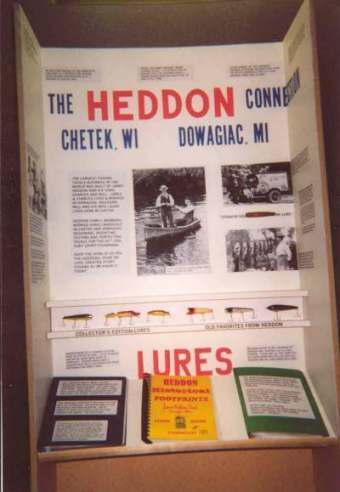 The Heddon Company built a factory in Chetek, Wisconsin that made casting rods and round bodied lures. This factory was in operation by January 1, 1907, moved to Dowagaic, Michigan in 1910, the Heddon family lived in Chetek 1905 thru 1919 and then moved to Park Rapids, Minnesota in 1920. 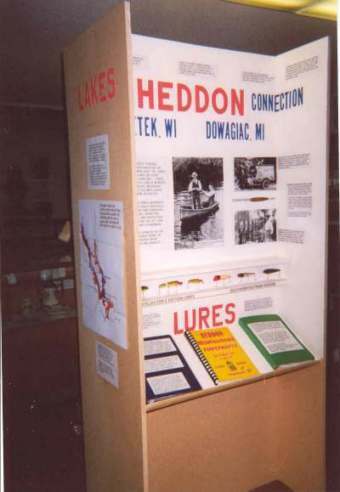 The Calhoun Memorial Museum of Chetek and the entire city had no idea that the Heddon Company once had a factory in their city. 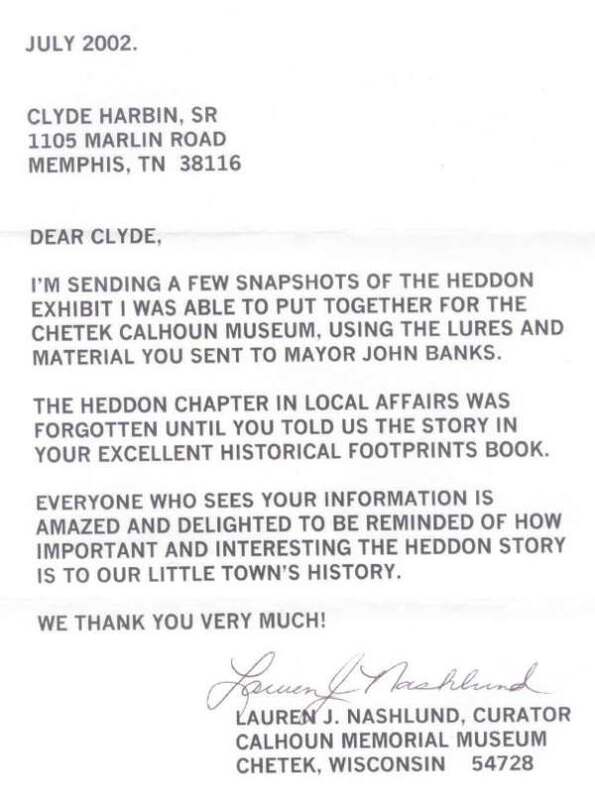 Mayor Banks and the Chetek Towns people had no prior knowledge of W. T. and Laura Heddon being in their city of Chetek until Mr. Clyde A. Harbin Sr. made his Heddon Historical Footprints book available to the city. 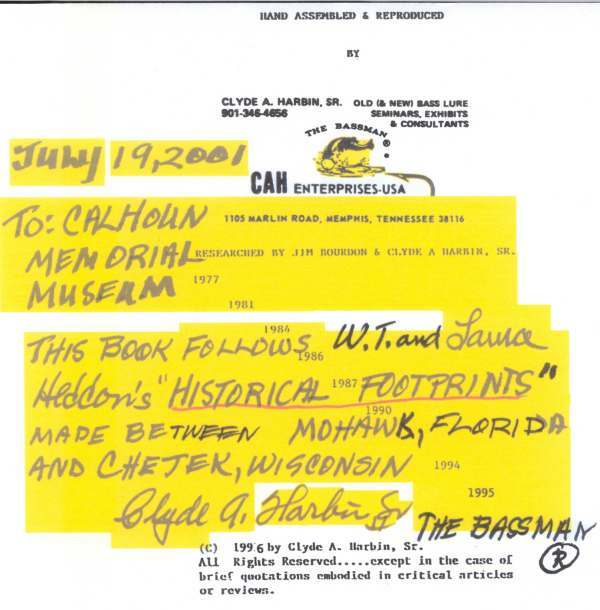 July 19, 2001 Mr. Harbin signed and donated his last copy (#183) of the Heddon Historical Footprints book to the Calhoun Memorial Museum of Chetek, Wisconsin. 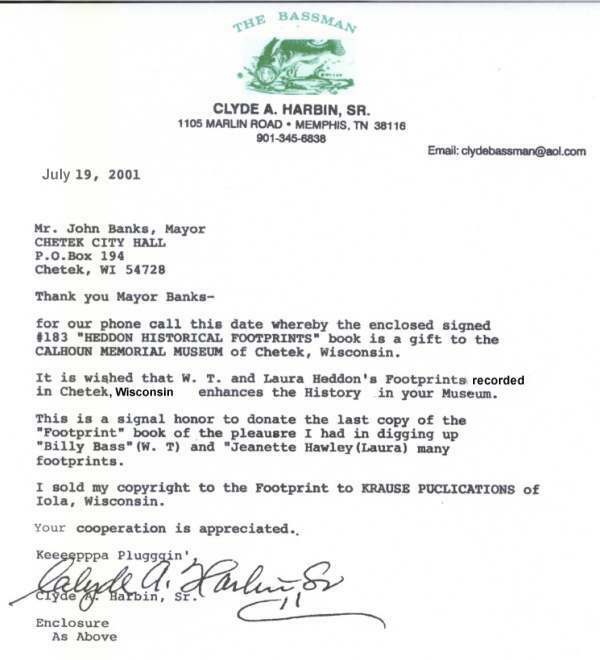 Earlier that summer Mr. Harbin had sold the copyrights for the James Heddon Son's Catalogue and Heddon Historical Footprints books to Krause Publications in Iola, Wisconsin. A little Bass trick played with a Dowagiac Minnow by Jeanette Hawley near Mohawk, Florida. She went out an caught this string before her husband was up. He "crawled out" just in time to use the camera. The bass in this picture weight from 11 lbs 2 oz. to about 4 lbs. 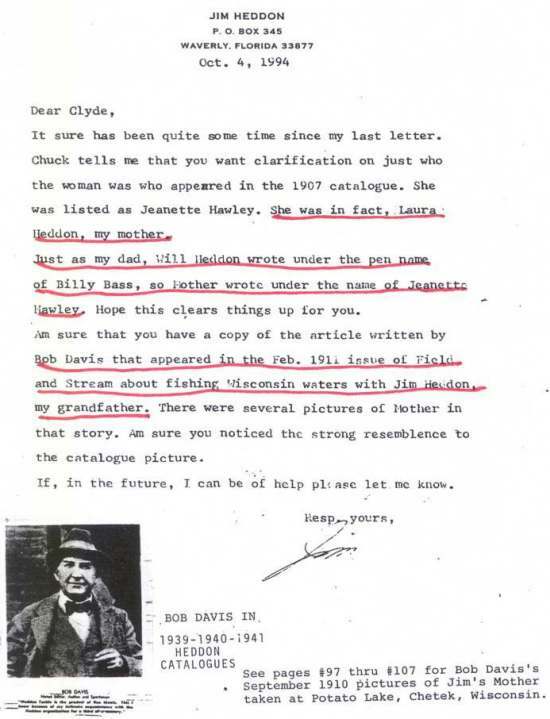 In a October 4, 1994 letter from Jim Heddon ( son of W. T. & Laura Heddon) he explains that Jeanette Hawley was Laura Heddon his mother. Laura Heddon went under the name of "Jeanette Hawley" just as his Father, Will Heddon wrote under the pen name of "Billy Bass". Jim Heddon, son of W. T. and Laura Heddon was born in Chetek, Wisconsin on June 25, 1913. Jim Heddon passed away June 29, 1999. Laura and W. T. Heddon stood while fishing. 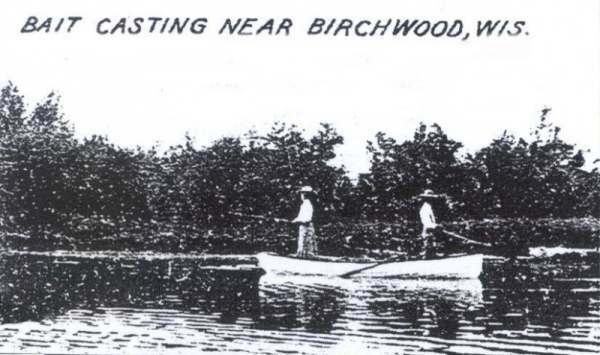 This picture appears in the 1912 Heddon Catalogue. However, it may have been taken in June of 1910. W. T. and Laura Heddon moved from Mohawk to Minneola, Florida in 1909 where they built their own home. They built a second home in 1915. 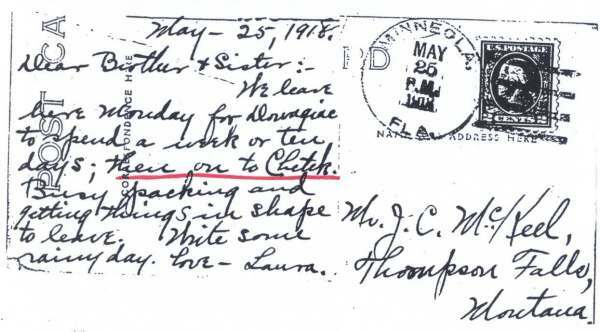 W. T. and Laura Heddon made many trips form Minneola, Florida to Chetek, Wisconsin stopping in Dowagiac, Michigan along the way. Below - Typed Text of the Above Postcard. 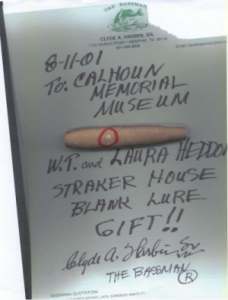 Mr. Harbin presented this Heddon lure blank to the Calhoun Memorial Museum of Chetek as a gift. This lure blank was carved by W. T. and Laura Heddon in a work shop behind the Straker house. This lure blank was found in a La Palina Cigar box that contained 19 total blanks. In 1986 George Brady and Clyde Harbin found the cigar box in a storage shed that was behind the Straker house in Minneola, Florida. 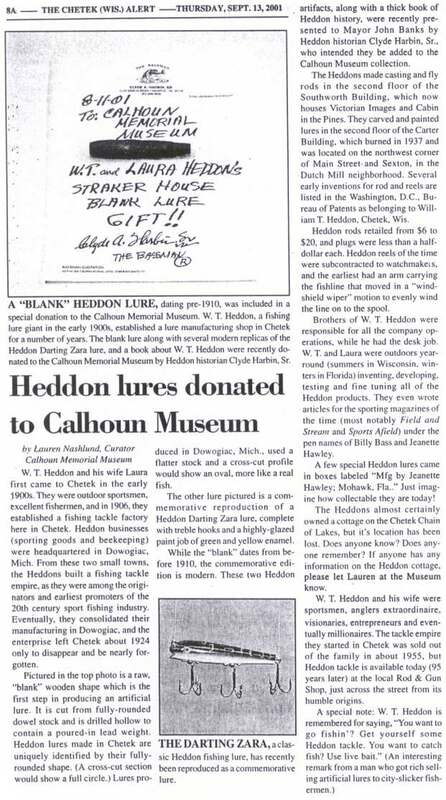 In addition to the Straker house gift lure blank Mr. Harbin donated several modern Heddon replica lures along with 40 pages from his Heddon Historical Footprints book (C) 1996 CAH to the museum. These pages document the footprints of W. T. and Laura Heddon 1903 Mohawk to Chetek, Wisconsin. These pages are displayed at the Calhoun Memorial Museum on the Information Display Wall for anyone to peruse. 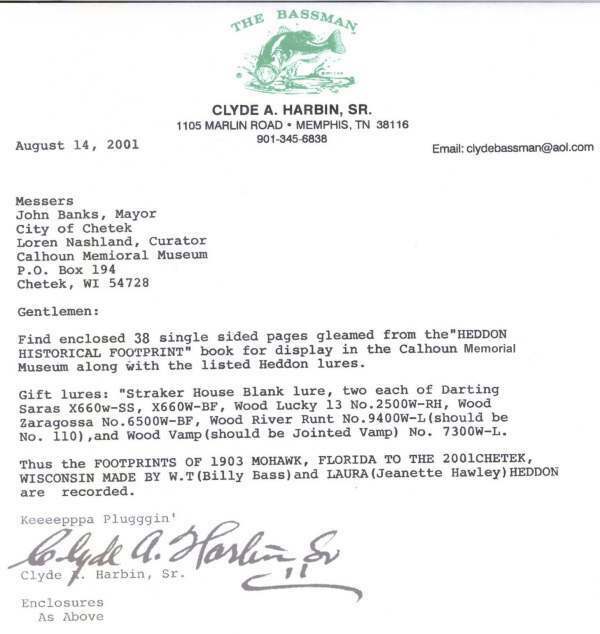 Mayor Banks of Chetek, Wisconsin mailed Mr. Harbin a copy of the article that Mr. Lauren Nashlund, Curator of the Calhoun Memorial Museum wrote for the Chetek Alert. 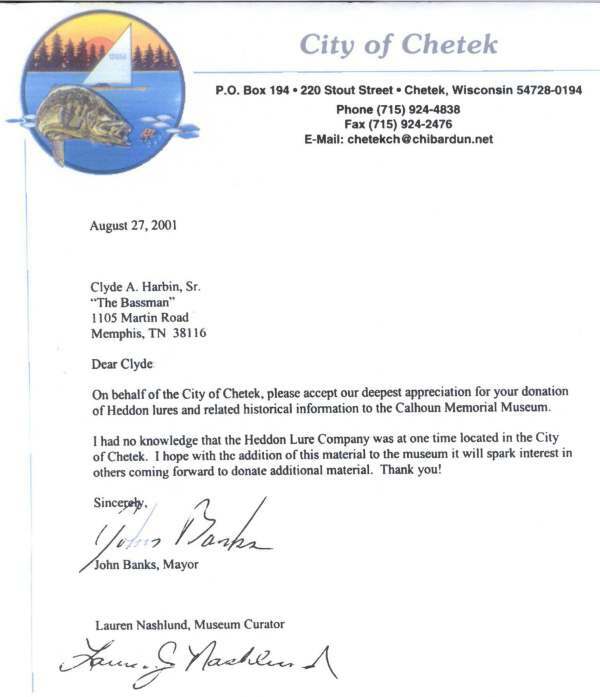 It is Mayor Banks hope that after museum visitors and towns people see the newly donated Heddon lures and the Mohawk/Chetek Footprint pages from Mr. Harbin, that maybe someone having information concerning Heddon/Chetek history, will come forward and possibly donate to the Calhoun Memorial Museum of Chetek. 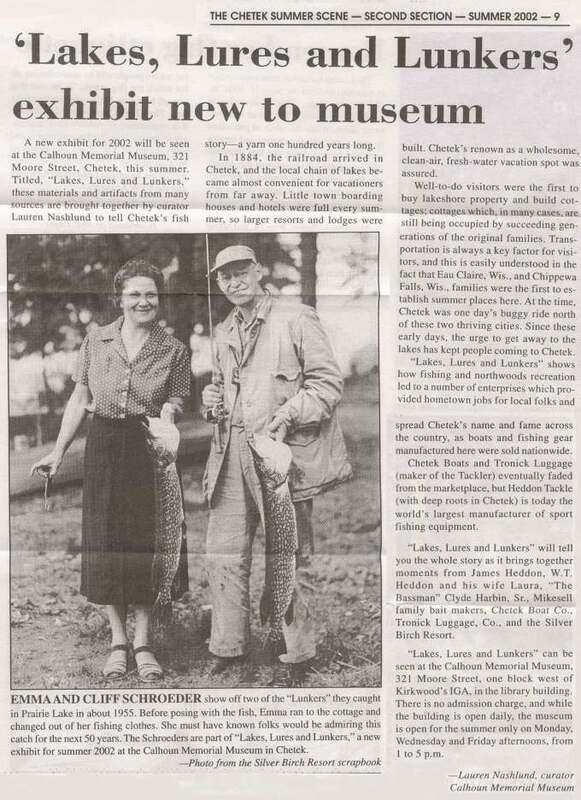 Mr. Lauren J. Nashlund, Curator of the Calhoun Memorial Museum created this wonderful exhibit with material and Heddon lures that Mr. Clyde A. Harbin Sr. sent to Mayor John Banks of Chetek. This bit of history had been lost and forgotten for generations until Mr. Harbin enlightened the township of their ancestors past involvement with the famous Heddon Company. 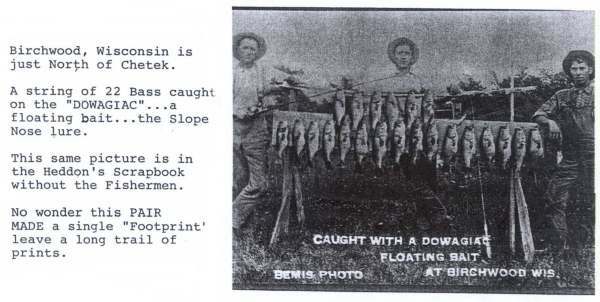 Just as W. T. (Billy Bass) and Laura Heddon (Jeanette Hawley) left their footprints in Chetek, Mr. Clyde A. Harbin Sr. (The Bassman) brought knowledge of the Heddon's "Mohawk/Minneola to Chetek", and he proudly leaves his FOOTPRINTS in Chetek, Wisconsin.